Carolyn is the co-founder of and is now of counsel with Bourdow, Bowen & Ellis, P.C. Professional Activities: Past president of the Metro Richmond Women's Bar Association, served many years as a Trustee of the Commonwealth Community Trust, a past contributing author of "Estate Planning in Virginia" and a speaker at various Virginia continuing legal education courses on trusts and estates topics. 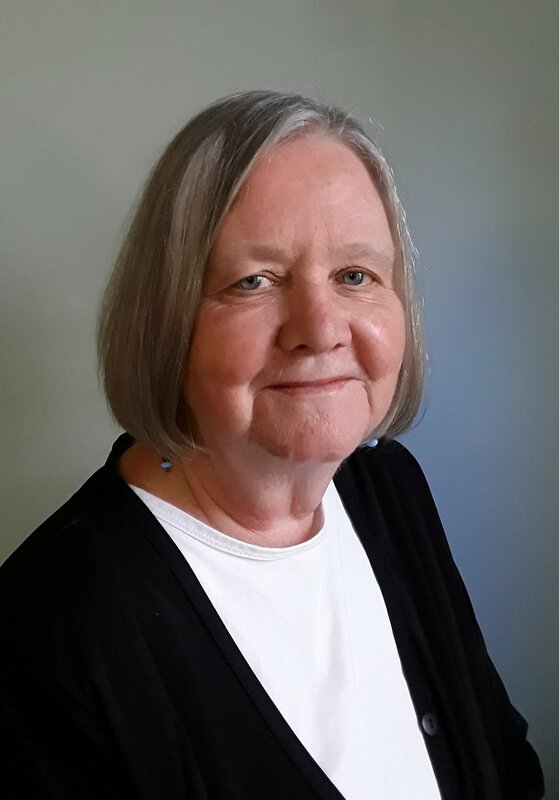 Honors: Past president of the Metro Richmond Women's Bar Association, Served many years as Trustee of the Commonwealth Community Trust, contributing author of "Estate Planning in Virginia" and teaches Virginia continuing legal education courses in Trusts & Estates. Michael is a co-founder of Bourdow, Bowen & Ellis, P.C. He is a member in good standing of the Virginia Bar Association and the Chesterfield / Colonial Heights Bar Association. Michael is admitted to practice law in all state courts of the Commonwealth of Virginia as well as the United States District Court, the United States Tax Court, and the United States Court of Appeals for the Fourth Circuit. Since 1986, Michael has practiced primarily in the areas of business, tax and estate planning. While his extensive experience in these areas allows him to confidently advise clients of any size on nearly any issue within his areas of practice, he has placed particular emphasis on assisting closely held businesses, their owners, and employees. He regularly works with business owners on choice of entity, tax classification, shareholder and operating agreements, purchase and sale agreements, lease review, contract drafting and review, employment and non-competition agreements, independent contractor agreements and dispenses general advice regarding ongoing business matters including all aspects of employment law. Michael's tax practice includes preparation of income tax returns for individuals, corporations, LLCs, partnerships, trusts, estates, and tax planning advice. Michael's tax strategies are based upon not only his extensive experience as a lawyer and accountant in the practice areas noted above, but also as a small business owner in his own right. He routinely assists clients on a wide variety of issues such as like kind exchanges, offers in compromise, sales and use tax compliance, and IRS and Virginia collection issues. Michael's tax litigation practice includes handling both administrative and judicial tax controversies which may arise with the IRS and Virginia Department of Taxation as a result of audits, appeals and collection matters. Michael's estate planning practice is fueled by his close relationships with his clients. He does more than merely draft wills, trusts, advance medical directives, and powers of attorney. Michael advises individuals and their families on the best way to handle complicated succession issues while minimizing probate, estate, and income taxes where appropriate. Mary is a partner with the firm and practices primarily in the areas of estate planning (including wills, revocable trusts, irrevocable trusts, special needs trusts, financial powers of attorney, advance medical directives and HIPAA authorizations), special needs planning, estate and trust administration, adult guardianship and conservatorship as well as real estate. Ms. Ellis considers each client's unique estate planning needs and has extensive experience in the preparation of a comprehensive estate plan to address issues, such as wealth preservation, minimization of estate, income, gift, generation skipping and/or probate taxes, the needs and protection of incapacitated, special needs or minor beneficiaries, and blended family considerations and concerns. Ms. Ellis is a member in good standing of the Virginia Bar Association and the Chesterfield/Colonial Heights Bar Association. She is admitted to practice in all courts of the Commonwealth of Virginia, including but not limited to the Courts of Chesterfield, Powhatan, Amelia, Henrico, Hanover and the City of Richmond as well as the U.S. Tax Court and the U.S. District Court for the Eastern District of Virginia. Ms. Ellis is a qualified Guardian ad litem for incapacitated adults. Ms. Ellis has spoken extensively to professional and lay audiences on topics relating to estate planning, special needs trusts and planning, estate and trust administration and taxation. Ms. Ellis is a contributing author to "Estate Planning in Virginia". Ms. Ellis serves on the Board of Directors for the Commonwealth Community Trust and is driven to assist the special needs community. Lisa is an associate with the firm. She practices primarily in the areas of estate planning, estate administration, real estate matters, business law and general civil litigation. She is a member in good standing of the Virginia Bar Association and is admitted to practice in all state courts in the Commonwealth of Virginia. While attending law school, Ms. Brennan focused her studies on general civil litigation and public interest law, serving as the secretary of the school's Public Interest Law Association and volunteering extensively with local legal aid organizations in both Ohio and Virginia. Prior to joining the firm in 2014, Ms. Brennan worked for the Internal Revenue Service in Richmond, Virginia assisting individual taxpayers with their tax-related issues. She has also served as an IRS certified volunteer through the Volunteer Income Tax Assistance/Tax Counseling for the elderly program which prepared tax returns for the elderly and low income individuals. Ms. Brennan prides herself on creating a client-focused approach to all of her areas of practice, not only meeting a client's expectations, but exceeding them. This enables her to anticipate issues well before there is ever a problem and aids in her clients feeling comfortable and confident that all of their legal needs have been met. Ms. Brennan lives with her husband and son in Henrico, Virginia. In her spare time she enjoys running, hiking and watching Virginia Tech football. Blake is an associate with our firm and focuses on all aspects of business law, tax law, estate planning and estate administration. He brings a unique aspect to the firm coming from a science and bookkeeping background. Prior to attending law school, Blake attended and worked with North Carolina State University (NCSU) doing plant breeding and plant research. He worked primarily on sweetpotato and cotton managing various experiments and trials with the university and with North Carolina farmers. After his time with NCSU, Blake worked as a bookkeeper and accountant while studying for tests and applying to law school. His science, legal and accounting background gives him a unique knowledge base to draw upon in order to assist each client with their specific needs. During law school, Blake worked at a bankruptcy law firm and assisted many individuals with filing for bankruptcy, some of which were from the local legal aid organization. Blake is a member in good standing of the Virginia Bar Association and is admitted to practice law in all courts in the Commonwealth of Virginia.